Pendrell Hall Country House in the Midlands is one of the country’s most stunning wedding locations. Situated in the midst of lush parkland in South Staffordshire, this fabulous country wedding venue cannot fail to inspire and delight both you and your guests. 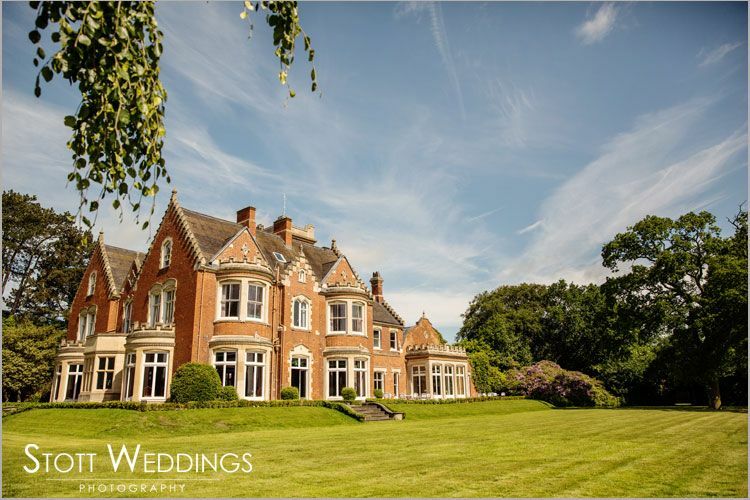 Pendrell Hall is a Grade II Listed former Victorian Gentleman’s Country House, now lovingly transformed into one of the West Midlands top wedding venues. Built in a bygone era, this elegant red brick private house features fantastic stone dressings and any number of beautiful deep bay windows. Its setting was thoughtfully planned; the approach is along a wooded driveway to the glorious, arched sandstone doorway, while the formal terraced lawns overlook a timeless and romantic parkland view. This incredible civil ceremony wedding venue combines all the character and romance of Victorian England with clean contemporary interior design. Your civil wedding takes place in The Morning Room which it is light and airy with fabulous high ceilings and two sweeping bay windows which look out over the impressive gardens of this extraordinary Country House Wedding Venue. The wedding reception rooms which include The Library Bar and the majestic Ballroom are equally impressive and offer the perfect setting for your wedding celebrations. Exclusively yours for the day and painstakingly restored specifically to cater for the needs of your wedding party, this family-run venue is one of the UK’s most splendid wedding locations. Ideally situated with easy access of the M6 and offering plenty of onsite overnight accommodation for your guests, Pendrell Hall is both a practical and dazzling wedding venue in the West Midlands. Give us a call today to arrange a viewing and our team of friendly and experienced Event Managers will be delighted to book you in for a guided tour. Part of our exclusive-use promise is that we’ll never do a viewing during your wedding hire period, so you may find that during our busy season we can only offer viewings at 9am but hopefully once you see Pendrell Hall you’ll agree that it was worth getting up early for! We want your wedding day to be everything you’ve dreamed of and more.